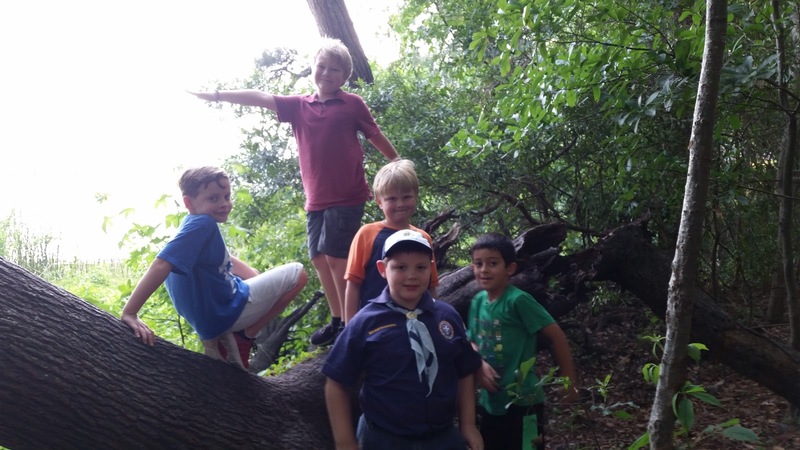 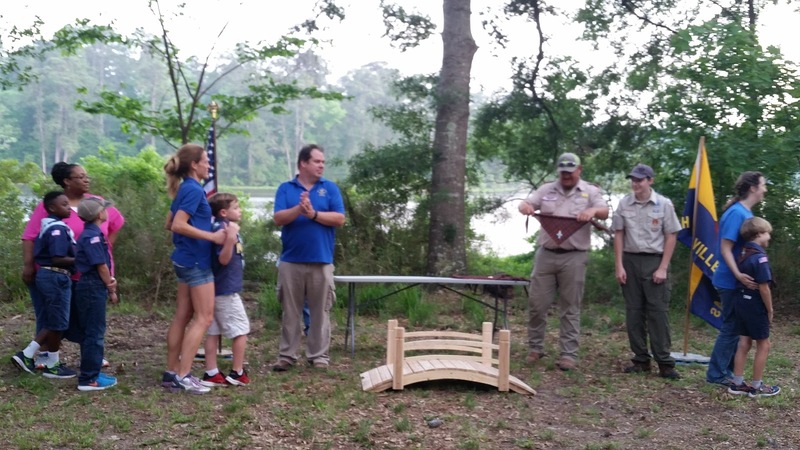 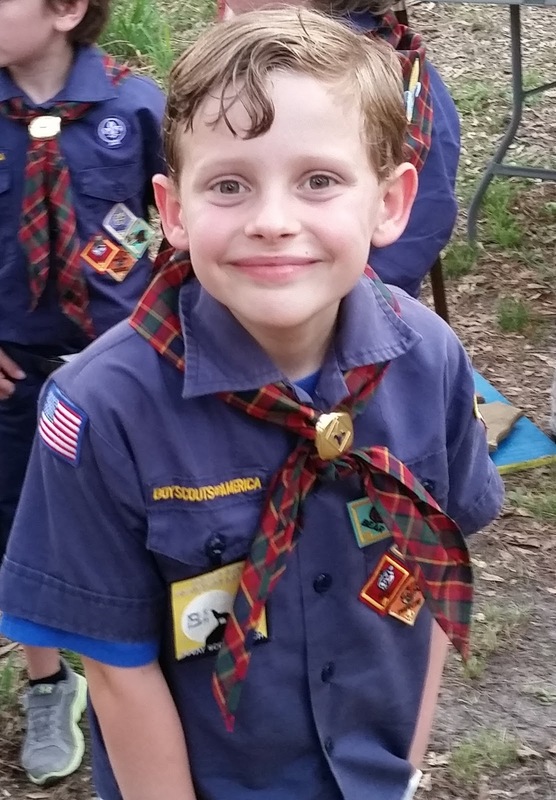 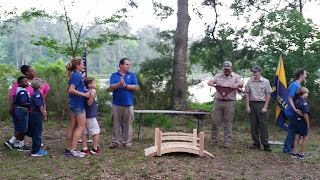 The last few years, Pack 98 has had their end-of-year graduation ceremony at the Huntsville State Park. 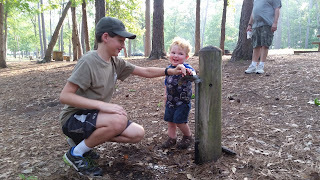 It's a beautiful setting and provides lots of great areas to run and play before and after the ceremony. 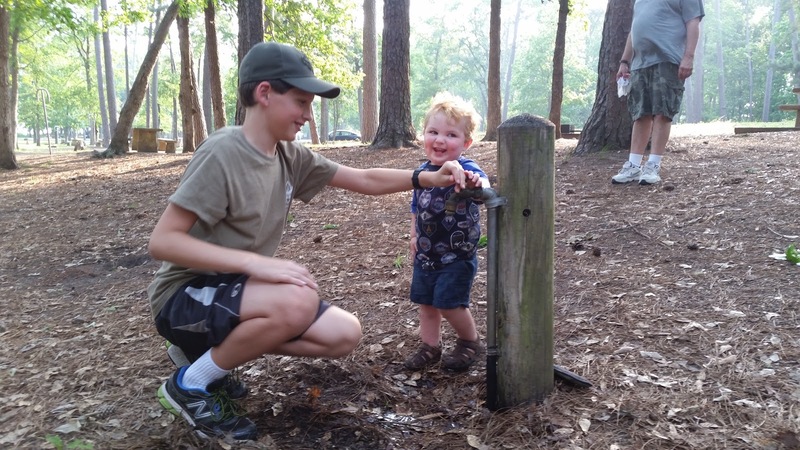 Dawson always enjoys little kids, but he has a special fondness for little Timothy. 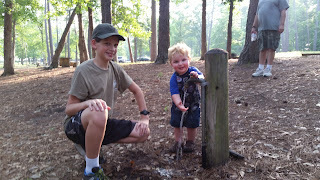 They had fun playing with the water spigot. 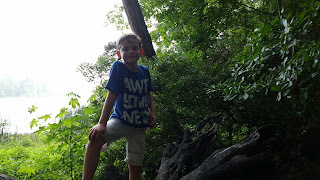 Brady playing in (and on) the trees. Brady waiting his turn to cross over the bridge and become a Webelos Scout. 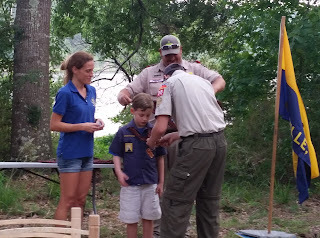 Getting his new Webelos neckerchief. 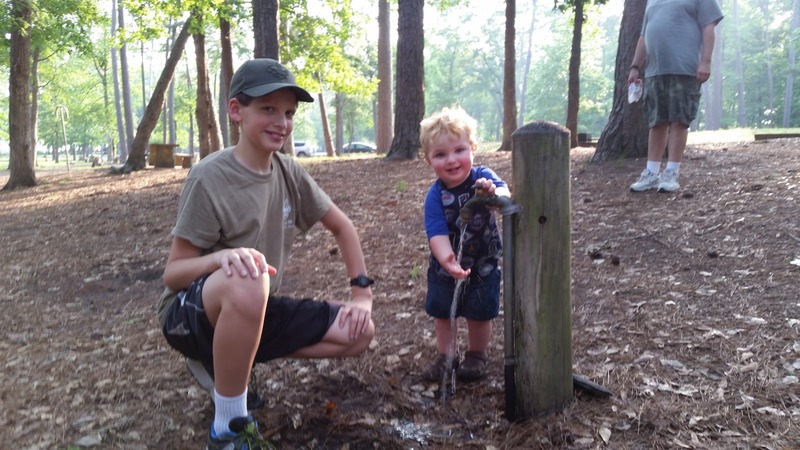 Brady and Wesley. 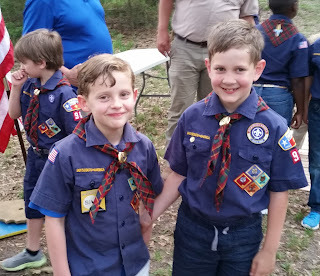 These 2 have been friends since birth and it's been great to see them grow up in Scouts together.